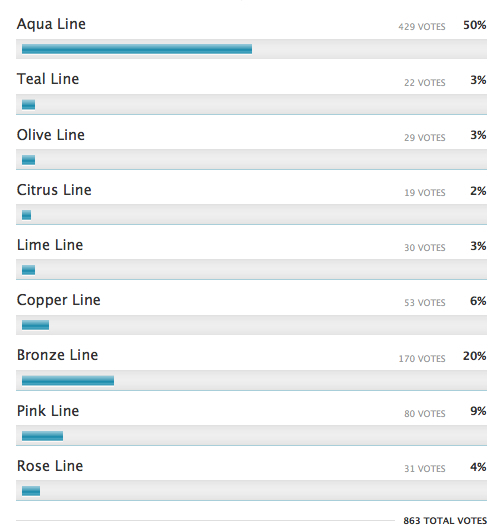 We’ve had our “pick a color” for the Expo Line poll online for a week since April 30 and votes continue to trickle in. Aqua is still the clear winner but after winning support of about 60 percent of readers, its totals have been dropping and bronze has seen a steady increase over the past week. Here’s a link to some comments left by readers. People have also been weighing in on Metro’s Facebook page.